SoundCloud saved by “largest financing round” in company's history | What Hi-Fi? Founder Alexander Ljung says the streaming service remains “strong & independent” as he steps aside as CEO. After a troubling start to the year, which began with a $70m bank loan and continued with staff reductions and office closings, a dark cloud appears to have lifted from SoundCloud’s financial woes - hopefully ending the latest round of rumours and speculation on the company's future. According to a blog post from Ljung himself, SoundCloud has secured a financing deal that will see it live to fight another day – or, as an optimistic Ljung stated in his blog post, another decade. 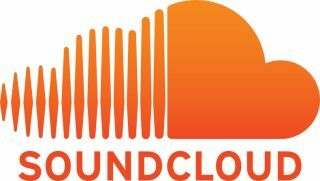 A $169.5 investment from the Raine Group and Singapore’s state investment company, Temasek, marks the “largest financing round” in SoundCloud’s history. Ljung has also stepped aside as CEO to “fully focus on the role of the Chairman and the long-term”, handing the CEO role to former Vimeo boss, Kerry Trainor. Mike Weissman also moves over from the video-sharing website to become SoundCloud’s new COO. SoundCloud fans can hopefully rest easy for a while longer.